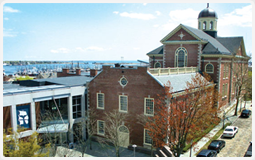 New Bedford, Massachusetts Short Sale Attorney Brian M. Glover succesfully helps sellers sell their homes when they are worth far less than they owe. In all cases the Attorney Fee is from lender’s payoff proceeds. No Attorney fee is due from the Seller. If you are facing foreclosure or if you need to move and owe more than your house is worth, call Attorney Glover at (508) 990-4555 to schedule a free consultation. A Short Sale occurs when a lender agrees to discharge a mortgage for an amount less than the lender is contractually due. Short Sales are common when property values have declined, foreclosure rates have increased, and borrowers are experiencing financial problems. With these market conditions, it is common for sellers to have to bring money to the closing table to sell. Therefore, many sellers are unable to close without the lender agreeing to a short sale. Attorney Brian Glover has successfully helped sellers avoid foreclosure and sell their homes by negotiating short-sale payoff agreements with their lenders. Attorney Glover is experienced in drafting short sale proposals and negotiating with lenders. In short sale transactions, the listing real estate agent gets paid their standard commission, the seller’s closing costs get paid, and sellers, generally, are not required to bring any money to the closing table. If you are facing foreclosure or would like to sell your home even though it is worth less than you owe, call Attorney Glover at (508) 990-4555 to schedule a free consultation. What Documentation Will Lender Require Prior To Approving My Short Sale? Most lenders generally require the following information prior to approving a short sale: Purchase and Sale Agreement, Hardship Letter, proposed HUD Settlement Statement (which shows to what extent the lender will be shorted), last 2 years Tax Filings, last 2 months Bank Statements, last 2 months paystubs, financial statement, Realtor Listing Agreement, Multiple Listing Service History. The short sale proposal often amounts to 50 or more pages. How Long Will It Take For My Lender To Approve My Short Sale? We have seen short sales approved in one month. We have seen others take longer than 6 months. Most lenders are overwhelmed with short sale volume. New Bedford Short Sale Attorney Brian M. Glover is experienced in preparing short sale proposals that get approved by lenders. We are persistent in our efforts to obtain short sale bank approval as quickly as possible.